Nowadays it is difficult for parents to explain the concept of “home” to their children. And this is not because children are not smart enough to understand it, but because of the so-called panel buildings. We are so used to seeing these old blocks of flats with their ugly facades, peeling paint and clothes hang to dry on the balconies, that we don't even notice them. 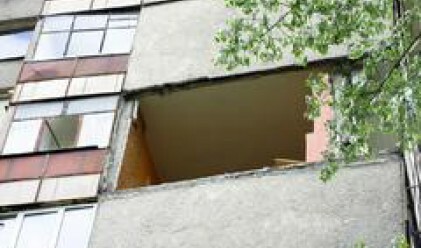 According to a report released by the Ministry of Regional Development and Public Works in 2001, a total of 2 million people in Bulgaria live in some 787,096 apartments in panel buildings. 83% of these homes are in big cities and very often this type of construction accounts for 50% of all homes in these cities. Experts say that 10% of panel apartments are in a state that needs urgent repairs. We all know that panel construction can't last forever. In fact, most of these buildings are already too old but hundreds of thousands of Bulgarians don't have any other place to live. Many have decided to temporarily solve the problem by rehabilitation repairs, involving mainly thermal insulation and changing the old woodwork with PVC and aluminium window frames. Because each household in a block of flats does the repairs on its own, what we have at the end, is buildings with numerous patches in different colors. Most households use credits to fund such repairs. This has prompted the establishment of a Residential Energy Efficiency Credit program (REECL). It was developed by the European Commission, the International Bank for Rehabilitation and Development and the Bulgarian Agency for Energy Efficiency. It provides loans for the following energy efficiency installations: energy efficient windows, insulation of walls, roofs, and floors, gas boilers with or without associated controls, space heating and hot water storage systems biomass room heaters, stoves and boiler systems with or without associated controls, space heating and hot water storage systems, solar thermal systems with or without associated space heating and hot water storage systems, cooling and heating heat pump systems. Under the program, each household in Bulgaria is eligible to receiving financial help in the amount of 350-2000 euros. The money is repaid after the completion of the repair works and after an evaluation by an independent consultant. The money is provided by the International Fund Kozloduy, established in 2000 with funds by the European Commission, EU member countries and Switzerland. REECL, however, will not be providing funds forever. It will end operation on 31 August 2008, when according to esimations, the total number of projects financed by it will have reached 30,000. The Bulgarian banks working in partnership with the program are Bulgarian Post Bank, DSK Bank, Bulbank, United Bulgarian Bank, ProCredit Bank and Raiffeissen.